This book can be enjoyed by everyone but will be of special interest to older people. Topics cover general knowledge, celebrities, the arts, sport, James Bond, city and rural life, and a trivia game for the home handyman. 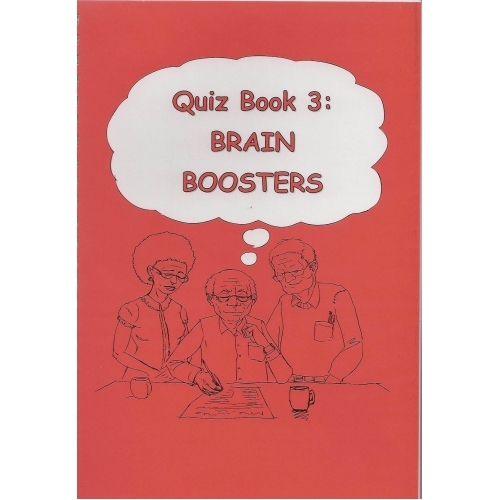 The book contains: quizzes, trivia games, guessing games (‘Try Your Luck’), Who Am I quizzes and a number of extra fun and challenging activities such as ‘Secret sounds’ and ‘Jumbled cities puzzle’. All have been grouped together in sections for ease of use.